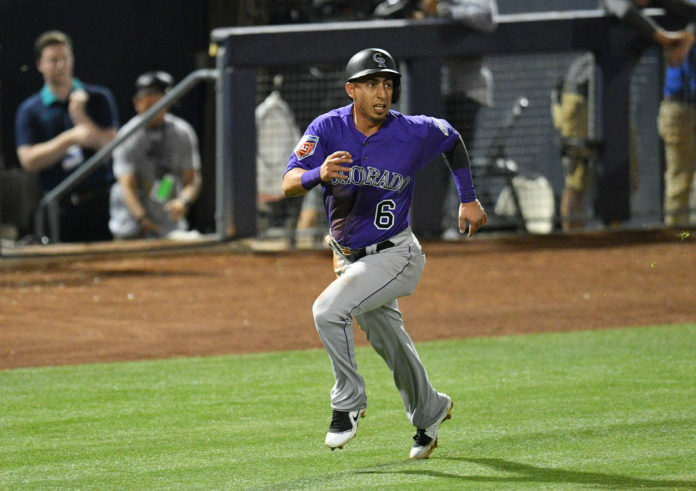 The Colorado Rockies announced Tuesday that they have selected the contract of infielder Daniel Castro from Triple-A Albuquerque and have optioned infielder Ryan McMahon down to Triple-A. McMahon struggled to get his feet wet for the Rockies, hitting just .180 in 50 at-bats. The Yorba Linda, CA native will head south to Albuquerque, NM, where he’s recorded a .374 average with the Isotopes in the past. Castro, 25, will be making his first appearance on the Major League roster for Colorado, having last appeared in the Majors with the Braves in 2016. In 23 games for Albuquerque this season, Castro has hit .407, drove in 11 RBI, and also holds a current 22-game hitting streak. The Guaymas, Mexico native signed a Minor League contract with Colorado on Nov. 6, 2016, and on Jan. 30, 2018 re-signed a Minor League deal. Castro first broke into the big leagues in 2015 with the Atlanta Braves and played in 80 games from 2015-16 with Atlanta. Holding a career batting average of .214, Castro will look to translate his Minor League success to the big leagues. This lineup makes a lot of sense and will probably be the most used by Bud Black. Desmond, Story, and Arenado have all been anchors at their respected positions and that shouldn’t change. Even with the slow start from Desmond, who was brought in last year to be the starting first baseman and will continue to start largely to that $70 million contract he signed in 2016. After a dreadful start for Pat Valaika, hitting a miserable .096 AVG, and hot start to the year for Castro in Triple-A, Castro should see the majority of the at-bats at second base for the time being. The Rockies don’t really have a backup first baseman on the 25-man roster at the moment. 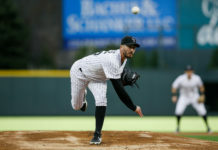 Their backup was McMahon, but after being optioned to Triple-A, Valaika will assume that role and expend Desmond from the lineup whenever called upon. If Pat Valaika was hitting like he did last year, .258 AVG, 13 home runs, and 40 RBI, this would be the best combination of them all. We could see more of this lineup then you might think, but until Valaika figures it out at the plate, Castro should get the majority of the starts at second base. 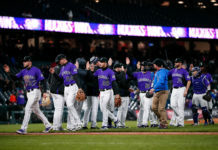 The Rockies bench has plagued them throughout the young season, and they may be missing veteran infielder Alexi Amarista, who came off the bench for them last year. Amarista recorded a .238 AVG, and a OBP of .269 with Colorado. He was a long-time veteran and someone they could trust in the field, which was certainly a plus for the Rockies last season. Colorado decided to move on from Amarista last winter, who signed a Minor League contract with the Philadelphia Phillies. After moving on from Amarista, and with the slow start from Valaika, Colorado has been searching for a dependable bench bat. 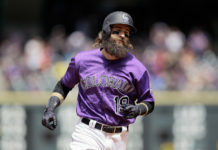 Castro will be given every chance to prove himself at the Major League level and don’t be surprised if he sticks around as a reliable pinch hitter/fielding replacement for Bud Black once LeMahieu returns from the disabled list.